Internationally acclaimed pioneers of ‘Acid World Rock’ with their fresh approach to blues rock music, sometimes described as ‘laid back surfer dudes’ but with a real vibrancy, WILLE AND THE BANDITS have a reputation as one of the best global live acts around, Top 10 ‘must see’ listed by Glastonbury and Radio 1. 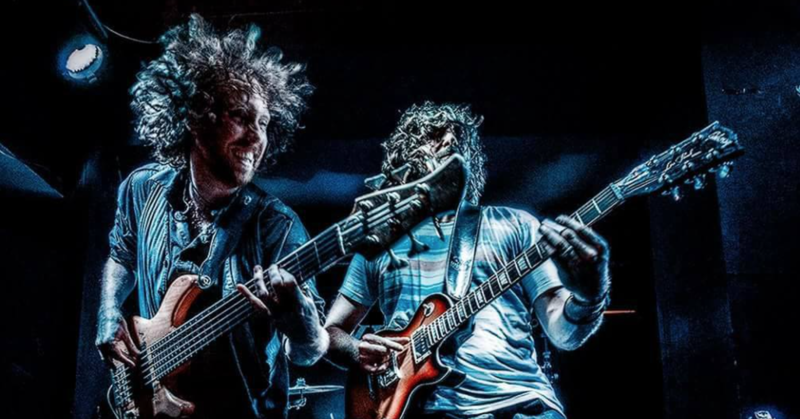 Essentially a classic blues rock three piece, think Cream/Hendrix Experience but taking it way beyond ‘traditional’ with Wille’s exquisite slide guitar, and a powerhouse rhythm section featuring Andrew Naumann (drums) and Matthew Brooks (6-string and double bass). Last word to Pete Whalley (Get Ready To Rock) -“No over indulgence and no unnecessary frills, just great songs delivered from the soul. There’s just not enough of that these days. Too much form over substance. But there’s substance in abundance here”.